with a neutral and timeless design. 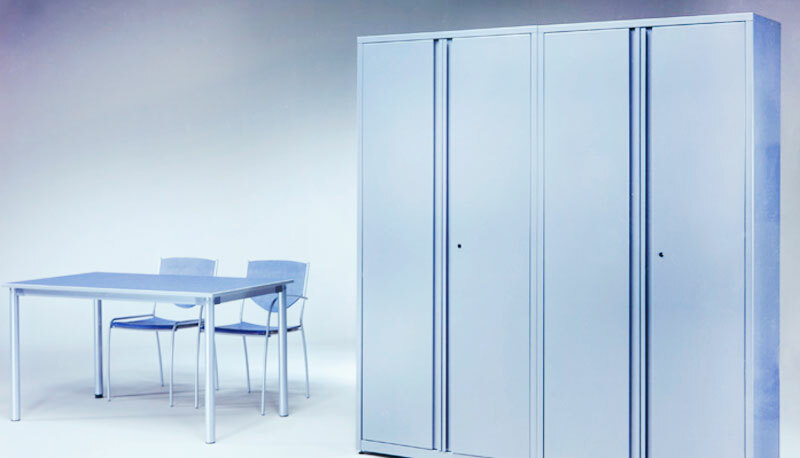 We have a wide range of metal products: cabinets, wardrobes, lockers, filing cabinets, technical tables, sets of mobile or fixed chest drawers, shelves… both within our catalogue and on request, fabricated in the metal workshops of Delaoliva. The production of metallic furniture in steel plate with machinery of last technology, the highly qualified personnel and the cabin of epoxy paint suppose a differentiating value for the products. 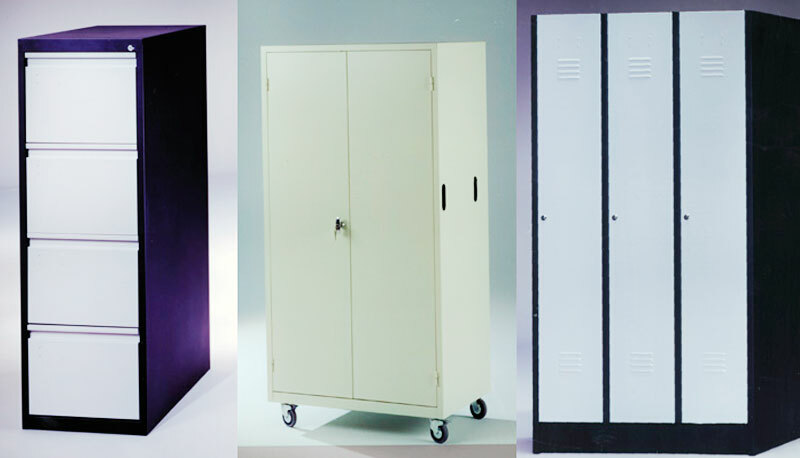 It consists of an extensive collection of metal cabinets available in three heights and two widths with or without doors, sliding or hinged, two models of filing cabinets, chest drawers with drawers or file storage, wardrobes and lockers from one to three bodies. All the collection is made entirely of steel plate from 0,8 to 1,2 mm, depending on the model and piece, has epoxy paint in various colours to choose: white, grey, sand, black or silver. They are also available in other paint finishes and even RAL (defined by customer). See FINISHES section. 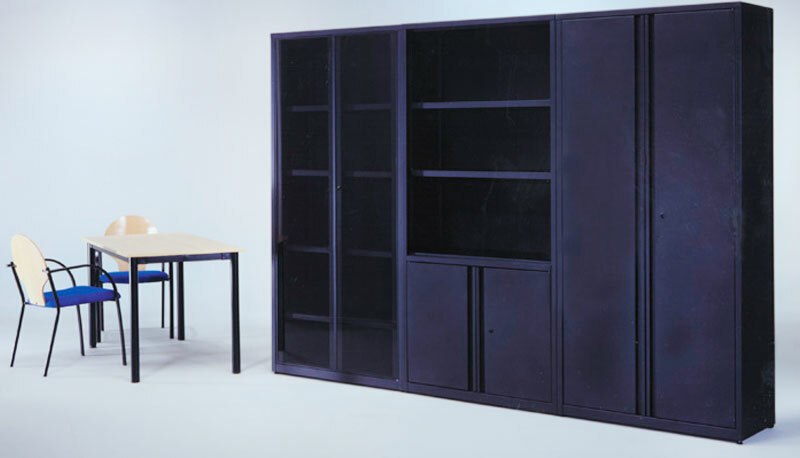 It consists of cabinets and chest drawers with metal body and fronts and doors in melamine board, which are part of the Tech and Mina Programmes of general office furniture sharing finishes with the tables that make them, both in the colours of epoxy paint and in those of melamine. 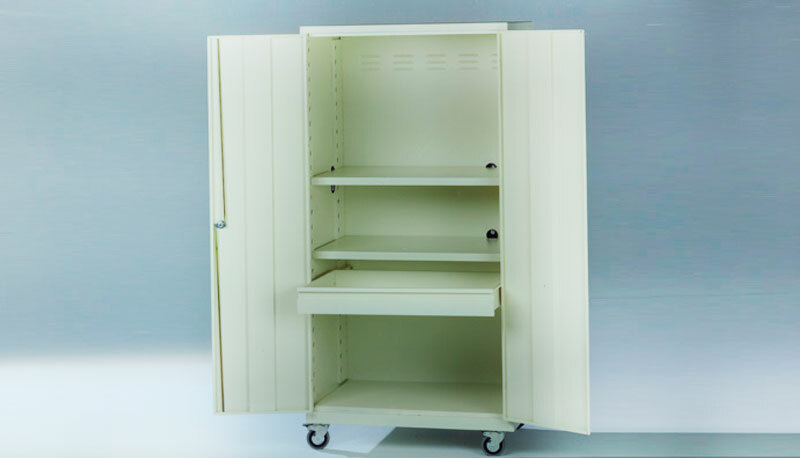 They can also be autonomous products either for filing storage areas or in combination with any other collection of tables and office furniture. 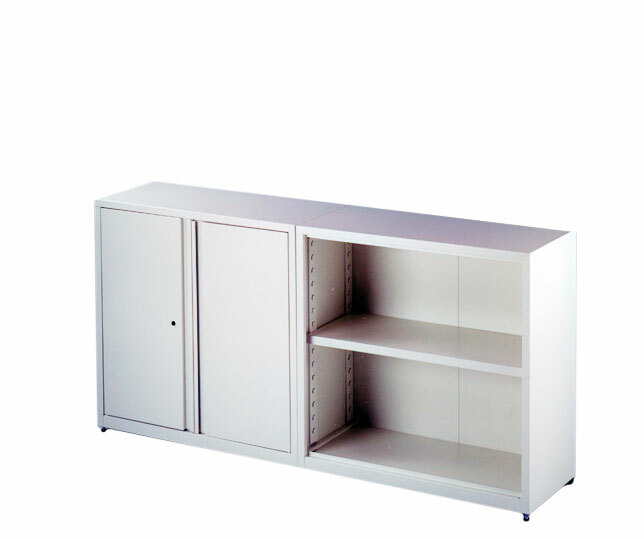 With a neutral and timeless design that incorporates quality hardware in the guides, locks, and hinges.